Awards will be given out for the top three finishers (men and women) in both events. 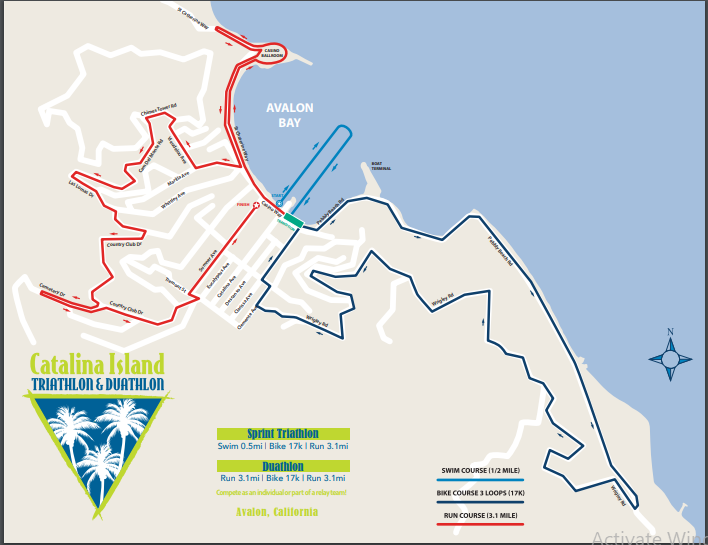 If you are bringing a bike over with you on the Catalina Express, you will need to make a reservation for your bike too! Please make your reservations ahead of time, as there is limited space on the boat. There will be a mandatory course talk that all participants MUST attend in order to pick-up their packet. NO EXCEPTIONS! With so many athletes competing, we need to make sure every athlete is made aware of safety procedures and protocol out on the course.